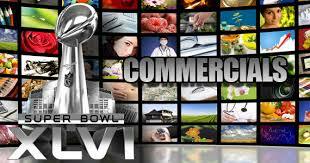 It’s Superbowl time and after football that means, “commercials”! I’ll be making a few lessons based on the latest Superbowl commercials – after the Golden Lions, probably the best commercials made on the planet. Commercials are great to use in the classroom. They are short, keep the attention span of students. They are of high interest. They are well made AND they are free to use – companies want us to view them! So here is my full ebook chalkful of tips and activities for using commercials in the ELT classroom. Also, my recommended “best” commercials. Take your time and browse through them with a cup of coffee, you’ll get inspired. EFL Classroom membership for resources required. I also recommend looking at this course for students on EnglishCentral. Students can study each commercial. Sign up as a teacher HERE. More resources HERE. Go Full Screen. Previous story Conference commentary …..